Through a place of present moment awareness, mindfulness, and connected with your team of guides and angels, Archangel Michael guides you to align with the highest possible potential for your soul’s purpose. Relax and listen to receive full benefit from this new free channeled angel message with Archangel Michael, and set to the beautiful meditative music of Thaddeus. Learn more about Archangel Michael here! If you would prefer to read this angel message, it has also been transcribed for you below. 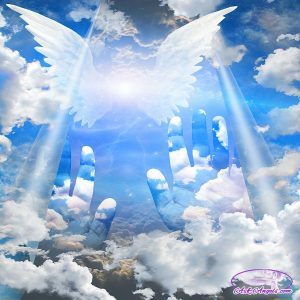 At this time, I ask that we be surrounded with 100 thousand angels of healing, love, light and protection. I now call upon each of our highest, best, most loving possible guides and angels of the light who can most serve now. Please come in, lift us in your wings of love, help us to quiet our minds and open our hearts to tune into the love, guidance, healing and divine frequency available for us now. I now invite the highest, best, most loving possible channeling guide or guides who can most serve now, according to divine will, for the highest and greatest good. Please come in, connect and channel through me now. Greetings from Archangel Michael. I am here in the presence of your team of guides and angels, indeed. At this time, we surround your entire being with a giant orb of divine healing light. Divine light containing magnificent qualities of the Divine, serving to elevate your vibration now, serving to realign your energetic signature with divine love, with the divine love that is present in every moment, present in every situation, present within everyone. Divine love which you have the ability to call to the surface – as we, together are doing in this moment now. And then simply be and breathe and notice the divine love which indeed appears, which always has been, but when focused upon, when experienced, when acknowledged and appreciated through your present moment awareness, oftentimes called mindfulness – is able to be felt, witnessed and you are able to then tune in to the immense benefit therein, the benefits of divine love. And so now, breathe in and be aware of this in-breath. Be aware of the light all around you and filling your being as you breathe in. As you exhale, breathe out. Be aware that you are breathing out and let go of any additional thought or worry, of any additional tension. Become fully aware of your breath, fully aware of breathing in divine love and light, filling your being with this energy. And as you exhale, let go of anything which is not love, let go of anything which is not complete divine love and well-being. Breathe in light and love. And as you breathe out, be aware that you are breathing out and let go. Breathe in love, be aware of your breathing in and as you breathe out, become aware that you are breathing out and allow the divine love that is present – to flow throughout your being. And so through your awareness, through breathing in love and being aware that you are breathing in love and breathing out and being aware that you are breathing out, you allow love to circulate throughout your entire being. Continue in this, consciously aware of your breath, breathing in and breathing out, allowing your mind to focus on your breath while you listen to these words, allows your body and your spirit to effortlessly flow the blessings of love throughout your being. And so with every breath, love cycles through your physical body, releasing any blockages, any tensions, any density. Love is the ultimate healing frequency in existence. And so, filling your being with love, consciously in this way – aligns you with healing. And in the same way as you breathe in love and become aware that you’re breathing in love and as you exhale and feel love surrounding you, feel the love enveloping you. Breathe in love. And as you exhale, notice and witness the love that is all around you. Continue to breathe as divine love fills your aura, your energetic signature. As the power of light and love pushes out any dense energy in your midst, any negativity you have absorbed from others – consciously or unconsciously, love releases dense energy into the light now. And so as love flows within you and all around you, love elevates your vibration, love boosts your immune system, love heightens your ability to sense and perceive in the spiritual realms. And so aware of this orb of love all around you, that you are breathing in and breathing out, you are then able through this awareness, through this present moment mindfulness and through witnessing love, experience the blessings love brings. You are then able to experience the presence of your guides and angels. You are able to experience the beauty in this present moment. You are able to serve others for through present moment awareness, when you are present, breathing in and breathing out, aware of the love within you and all around you, you are able to truly be with another. And by truly being present with another, you empower their presence on a subtle energetic level. And this this presence you bring, this presence you inspire others to enter into – is unlimited in its potential. Presence and connection with love in the moment, in each moment, truly contains the potential to transform your entire worlds and the paradigm in which you live – to dismiss negativity and density and to realign with the blessings of positively co-creating as one humanity, positively co-creating as one collective consciousness – which includes you, your family and friends, all of humanity, earth and all that is. When you are present, the infinite potential contained within this field of one – is available to you. When you are present, you are able to impart positive change in the world, energetically and subtlety through simply being and actively and consciously through the inspiration, intuition, inspired action that you tune into, in the present moment, with your heart open, breathing and being aware. Infinite possibility to positively transform your life – is available. Infinite possibility to positively transform the world – is available. From this place of being aware, breathing and being present – surrounded with love and aware of the love which surrounds you, experiencing the blissful qualities, the beautiful qualities, the healing qualities of love, you are in a vibrational place of increased potential to manifest your intentions and your heart’s desires. And so from this place, here and now, let yourself become aware by simply opening your heart and noticing what comes up for you now. What is your heart’s desire to manifest? As you step into this new cycle of creation now – what is your heart calling for you to experience and move into – as the doors of infinite possibility open before you now? Breathe, open your heart and become aware of the intention you may or may not have known you had – the intention of your heart, your soul and higher spirit. What do you want to create, to align with, to more fully embody and to be? Receive. Become aware of this knowing now. Open your heart to become aware of your heart’s desire, your heart which is the sacred portal to the higher realms. Through your heart – in a place of present moment awareness, mindfulness and love, you are able to connect with your authentic purpose with the true desires of your higher self, your soul and spirit. Receive the knowing of your next steps to accomplish this grand vision. And imagine this as a sort of scene, symbol or visual which appears in your imagination, which you visually paint in your mind’s eye, receiving a visual of your intention. This maybe something that feels a far way off or a simple step you could take right now. Become aware of this intention. Your higher self and soul are guiding you to embody in this new cycle. And now let yourself feel the essence of this intention of your heart’s desire. Let yourself feel what you would feel like when it comes true, when it is manifest in your experience. And so see the intention, feel as if it is coming true, know that it is possible as you receive a feeling of knowing from your team of guides and angels. And now as you open your heart, trust that this can come to be. You are supported, you are guided, you are assisted. As you take your next step to accomplish our intention, the next will appear. You don’t have to see every step of the way. Just keep moving in the direction of love, returning to presence, to mindfulness, to being aware of the fullness of the light that you are, of your connection with your higher self and spirit through your open heart, being aware that you are breathing in, that you are a spiritual being in physical form, being aware that you are breathing out. Breathe in and breathe out – knowing that anything is possible for you. You are physical, but you are far more. You are spirit, you are light, you are one with the divine in all that is. And so all the power of the divine, all the possibility, all the potential is available to you too – from the present moment where you are now, from the present moment where all of this power is contained and is available to you, all the power of love, when you open your heart. Breathe and become aware. What is your next step to accomplish your intention? Let your guardian angels and guides help this next step to appear so that you know your next step. Receive this vision, feeling or knowing of your next step now. Open your heart, quiet your mind, breathe in and be aware that you’re breathing in. Breathe out and be aware that you’re breathing out. Trust the insight as to your next step – which appears which may seem like your own thought or that you’re making it up. Receive, believe and take your next step. From there, return to this place of mindfulness, of awareness, of being present in love embodying the divine love that you are and then ask again. “What is my next step?” And receive, believe and take it. Take action. Continue returning in the present moment to love, to being in alignment with love, one with love, mindful of the love around you, within you, of the love that you are. Become aware of your higher selves calling, of your purpose and the next step on your path and take it and then refocus – calling in love and light all around you, which as you learned is always there. But when you open your heart, become aware, become mindful, breathing and being. It comes to the surface where you can leverage its power to create positive change in your life, in the world, in the greater realm of all. It is possible. And when you keep taking steps, returning to love, being present and aware, trusting, taking action, following through, believing, keeping your heart open, being aware that you are breathing in, being aware that you are breathing out, being aware that you are a spiritual, powerful divine being in physical form and being aware that anchoring this full light and power and magnificence in your physical body here and now – where you can then, take action, inspire others, be present, enlightened, illuminated, aware. This is your calling. Take your next step. Return to love, return to presence, return to being and know that all is well. You are loved and supported and uplifted, cleansed and blessed. A waterfall of divine light and love and healing – flows down all around you. Breathe it in. And as you breathe out, feel the love flow through your being. Stay in this place as often as you like. Return to this space often – to the experience, knowing and bliss of love. Breathe love in and be aware that you are loved. Breathe love out and be aware that you are sending love out. Breathe in and breathe out. And so, it is. Beautiful! I must listen every night ..I have always had a problem with meditation always! Thank you Archangel Michael..I love you. I never had a problem with loving ^ giving to anyone. My problem is loving & forgiving myself..But I have come a very long way! I’m lost. I ve lost both my parents. I’m divorced with two boys . please help show me guidance. I’m not working. I’m on social security. Any advice. Just wanted to say, thank you very much for your guided meditations, I really enjoy them ! Please give me light strength and energy peace health wealth and happiness. Please protect me family and friends. Wow…another “coincidence” of hearing something over and over. I’ve also heard A LOT about the Archangel Michael in the last couple of weeks! And, as it happens, my husbands’ name is Michael!! I also was in a brief, but intense relationship with a beautiful soul named Michael (who passed away all too soon). Perhaps it is time to take heed to whatever the heavens are.. prompting, poking… to pay attention. Melanie I really loved this meditation a lot – I found myself getting quite emotional & as well it gave me a far clearer picture of how things work in the non-physical. I FEEL RLEIVED AND I FEEL LOVE AROUND AND THE GUIDANCE. THANK YOU M.B. GOD BLESS YOU. this is a heart touching message i have ever received. I fill like you know everything going on within and around me.I dont know how to thank you but i will say i am greatfull for your job well done.STAY BLESSED. Thank you! I feel lifted and the weight is off my shoulders. All of my negative thoughts are gone and I feel wonderful. THANKYOU VERY MUCH MELANIE FOR THIS BEAUTIFUL POWERFUL HEALING.MESSAGE. HAHA! !This is great! Your messages seem to always coincide with what I’m going through. Just this morning I woke up feeling much lighter emotionally. I just went through something very difficult and nerve wracking and yesterday made it through. So I wanted to cleanse my energy and make an intention of love and joy and abundance. I did a private meditation and even at one point asked the angels to allow divine light flow down over me like a WATERFALL. Then I opened my email and found this and toward the end, you say the divine light flows like a waterfall. Just BEAUTIFUL! Thank you!! Powerful healing message that happened to arrive at the most turbulent time for me this new year. What a gift! Loving thanks to you in assisting my realignment by offering this message from Archangel Michael. After listening to your Archangel Michael message I picked a card from the Ask Angel Card Reading. The card I received was number 41. Was that a coincidence!! Amen. I feel the love. Thank you! Thank u for the beautiful words in calming arrangements of love……. Thank you. A divine blessing indeed. Your messages are very soothing to the troubled mind. They are very helpful. I do not know who and what are the angles. I find it very confusing. I find there are good spirits of some (not all) persons who have passed on. With love of the Divine.